distributors, and ancillary businesses. CTF’s Board is focused on creating a professional, credible, and unified organization for the industry. Along with its member businesses, CTF will also build a dynamic network of associations and nonprofits that share a vision of creating sensible cannabis policy, promoting social responsibility, and leading the future ongoing professionalization of a highly regulated and increasingly organized cannabis industry. Today’s legal cannabis industry employs more than 100,000 Americans, many of them in high-tech agricultural jobs, as well as manufacturing, distribution and retail. Roughly two-thirds of Americans now live in states where some form of cannabis is legal, and polling consistently shows over 70% of Americans support letting the states make their own cannabis policy and the federal government not interfering when they do. The STATES Act, a bipartisan bill that has been endorsed by President Trump, is coauthored in the U.S. Senate by Senator Cory Gardner (R – CO) and Senator Elizabeth Warren (D – MA), and in the U.S. House by Rep. David Joyce (R – OH) and Rep. Earl Blumenauer (D – OR). The STATES Act fixes the cannabis industry’s banking and tax issues while also removing the threat of Department of Justice criminal or civil asset forfeiture actions against state licensed and regulated cannabis businesses for conducting business in compliance with state law. One of CTF’s first acts as an organization was appointing Neal Levine, a seasoned industry executive who has held key leadership positions in both the industry and the movement, as its CEO. Remaining founding board members, in alphabetical order, include Dixie Brands, General Cannabis, Green Thumb Industries, The Grove, Keef Brands, Los Suenos Farms, Medicine Man, The Scott’s Miracle-Gro Company, TILT Holdings, and Viola Extracts. 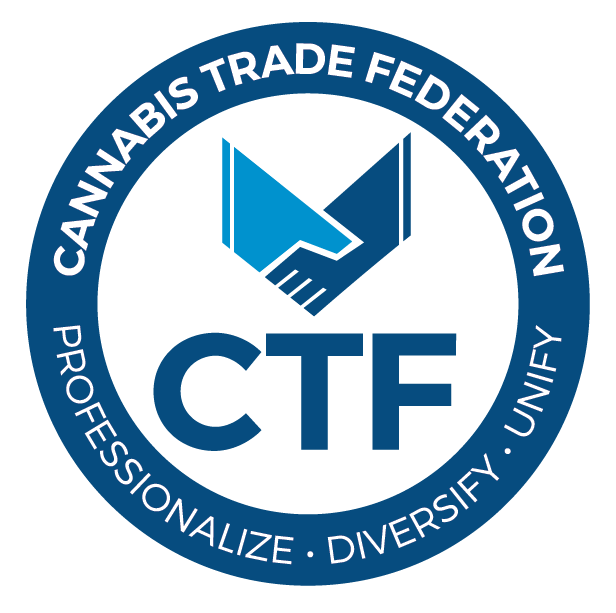 The Cannabis Trade Federation is a non-partisan 501(c)(4) tax-exempt organization dedicated to educating and advocating for sensible cannabis public policy.